"Get your game face on this summer at the Museum of Science and Industry’s first ever gaming event, featuring some of the most popular video games of the past 30 years. Running from Saturday 25th July to Sunday 9th August, PLAY it! 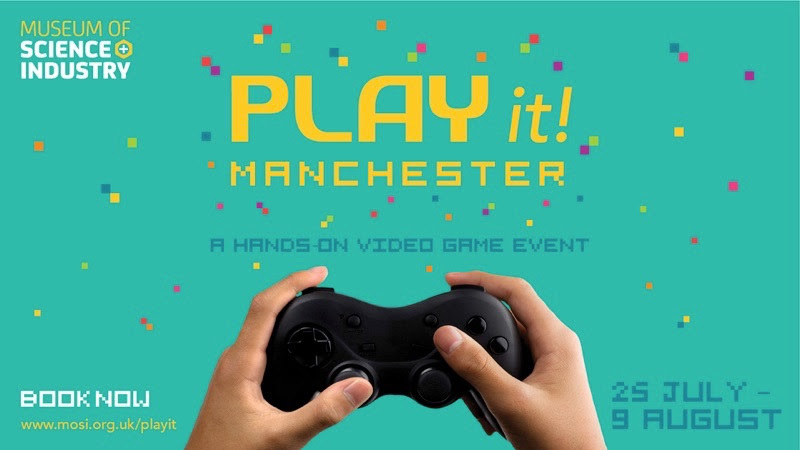 Manchester – in partnership with leading gaming specialists Replay Events - is a hands-on celebration and immersive gaming experience for fun-loving visitors young and old alike. 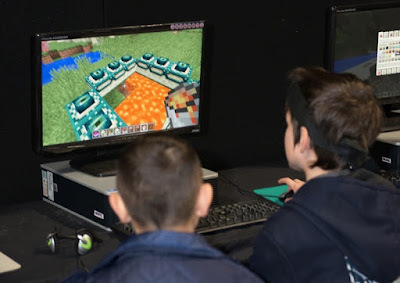 From Pong and Pacman to Minecraft and Halo there is a game to suit beginners and experts, dads and daughters, multiplayers, retro fans and everybody else in between. Over 120 games and consoles are available to play during each 90 minute pre-bookable gaming session, which run at set times throughout this family friendly 16 day event. 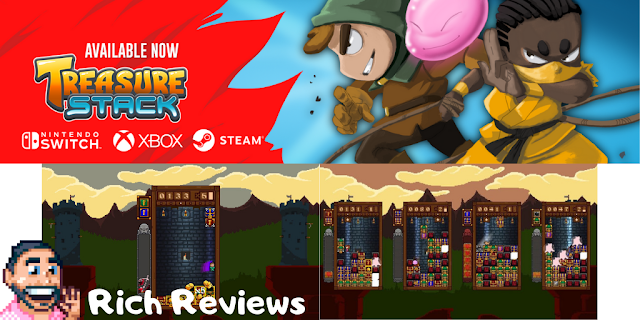 Split into 6 different zones, featuring the most loved and popular games linked by theme, content and brand – from Mincecraft, Atari and Lego to Wii, Megadrive and Nintendo. PLAY it! Manchester offers a unique opportunity to experience the very best in contemporary and retro gaming culture within the museum’s historic Great Western Warehouse, part of the oldest surviving passenger railways station in the world. PLAY it! Manchester also plays tribute to Ocean Software, one of the most recognisable names in gaming. 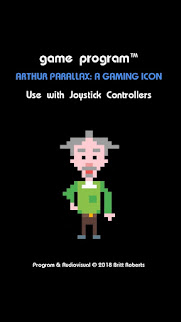 Established in Manchester in the 1980s, this globally renowned software development company are responsible for some of the most iconic games produced for the Sinclair Spectrum, Commodore 64, Amiga & ST, NES, SNES and Megadrive. 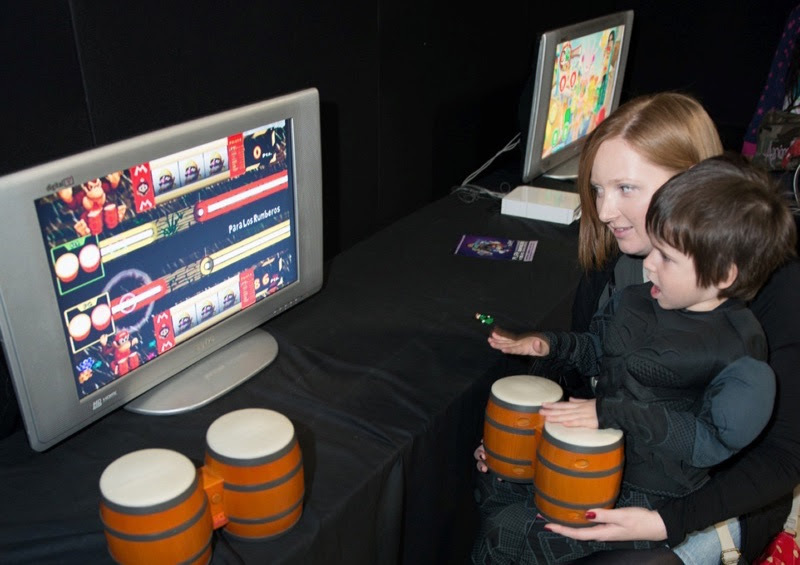 A selection of these family favourites will be available to play throughout the event. Visitors are also invited to experience life in the 1980s computer room, and take part in fun challenges, from freestyle BASIC programming to fondly-remembered educational games such as Granny's Garden and PODD. Never before has a career in STEM, science technology, engineering and maths, promised so much fun. Whether you’re a family dropping in for a 90 minute session, a seasoned gamer making the most of PLAY it! Manchester’s full-day pass, or a night owl visiting the twice weekly adult-only evening sessions, there are plenty of opportunities to test your skills, show off to your kids or play something new for the first time. So come along and PLAY it! @ the Museum of Science and Industry as part of the museum’s summer programme. Themed tributes to the very best gaming franchises, offering hands-on play of video games old and new: from Mario & Sonic to Tomb Raider, Star Wars and Lego Games. The Ring – a 16 screen gaming carousel hosting both casual and competitive head-to-head LAN gaming on some of the best “FPS” and driving games of recent times. Drop in and out of a round of Halo, or race your mates across the streets of Los Angeles in Blur. A knockout selection of the very best games and systems from the last four decades, beginning with home computer classics Manic Miner, Chuckie Egg and Sensible Soccer on the Spectrum, BBC Micro and Commodore. Next up are the games and systems that formed the “Console Wars” of the 1990s. 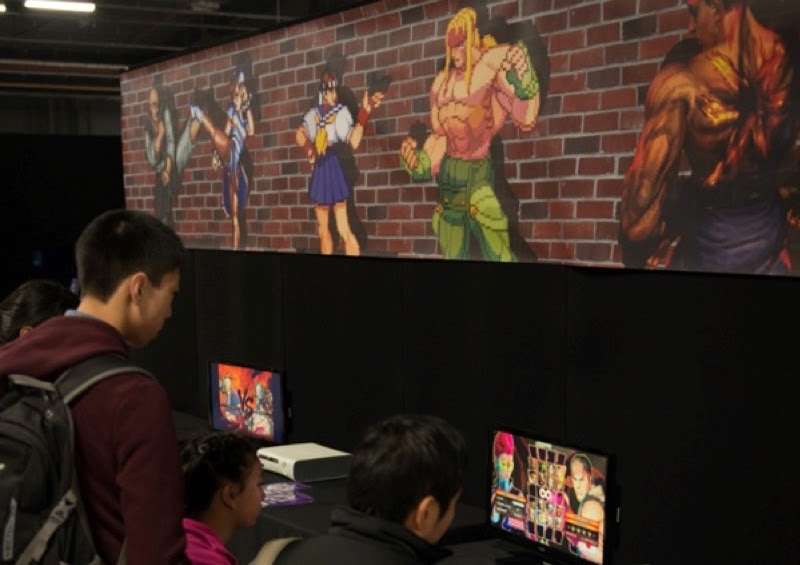 Consoles include the Megadrive, SNES, Nintendo 64 & Dreamcast, which boast favourites such as Street of Rage, Donkey Kong Country, Pokemon Stadium and Crazy Taxi. Replay AGES concludes with a selection of games and consoles from more recent times including PlayStation, Xbox and Nintendo Wii systems. Clusters of four player, single-screen games where all players sit next to each other nudging and laughing their way through a lap of Mario Kart, a round of Goldeneye or a battle on Super Smash Brothers. Our Minecraft creative build server offers a world where players are encouraged to explore, build and survive the nights and the deepest caves. 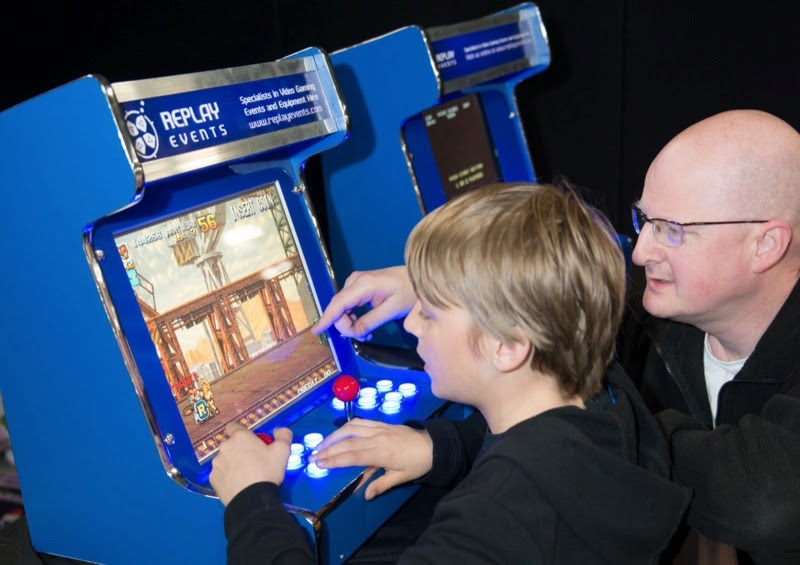 Relive the glory days of the great British arcade with the PLAY it! 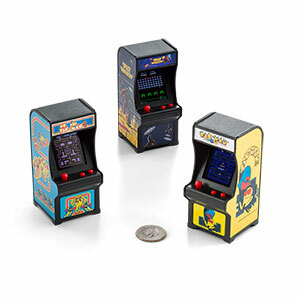 selection of arcade cabinets. 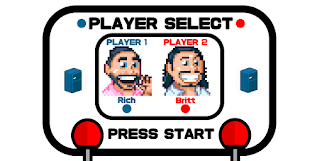 Each machine features a selection of free-to-play classic arcade games, so no need for a bag full of 10 pences! The best music, dance and rhythm-action based games from all over the world. From classics like Donkey Konga and Parappa the Rapper, to hidden gems like Taiko Drum Master and modern favourites Rock Band and DJ Hero. Both simulator-based and arcade-based flying games, which can be controlled with authentic flight sticks. With its revolutionary 3D graphics and open-ended environment, Elite – the space-based trading game - set a new standard in terms of depth when it arrived on the scene in 1984. The original BBC Micro version will be showcased alongside the very latest version in the franchise: Elite Dangerous. A showcase of some of the best and most popular titles that emanated from the leading, Manchester-based studio, Ocean Software. A unique opportunity to experience life in the 1980s computer room. Fun programming challenges, freestyle BASIC programming, educational software and classic arcade games on the original educational computer – the BBC Micro. YOU CAN'T ARGUE WITH ALL THAT CAN YOU!!?? it's one NOT TO BE MISSED!